For just over two hours on a Saturday afternoon, over twenty history and heritage enthusiasts (a full house!) 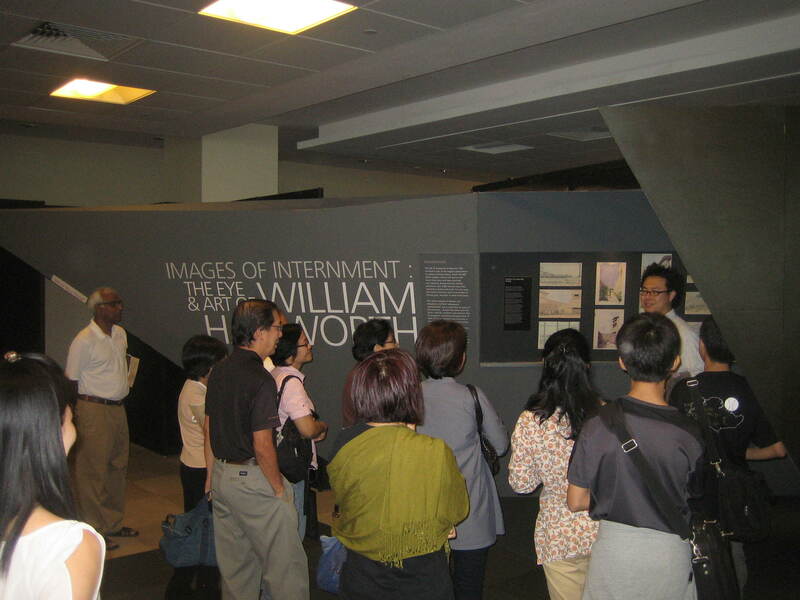 were treated to a extremely enjoyable and engaging guided tour by Lim Chen Sian, a key curator of the two exhibitions – Four Days in February: Adam Park The Last Battle and Images of Internment: The Eye and Art of William Haxworth. 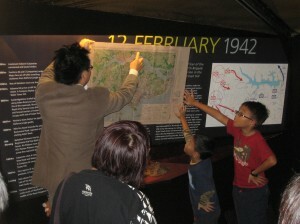 Via Chen’s vivid and candid descriptions of the actions of the First Battalion of the Cambridgeshire Regiment, his audience came away with a empathetic understanding of the Cambridgeshires’ four days of forlorn but ultimately gallant defence of the Adam Park area against the marauding Japanese forces in 1942. 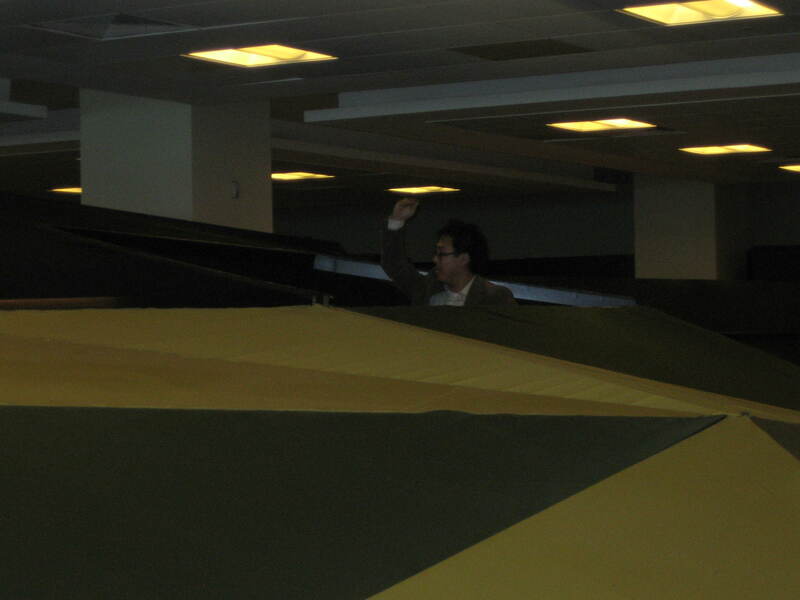 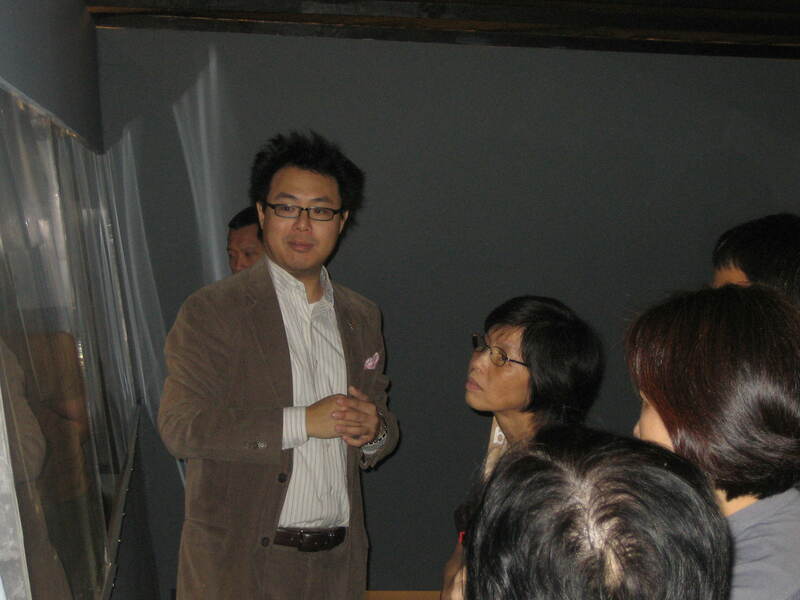 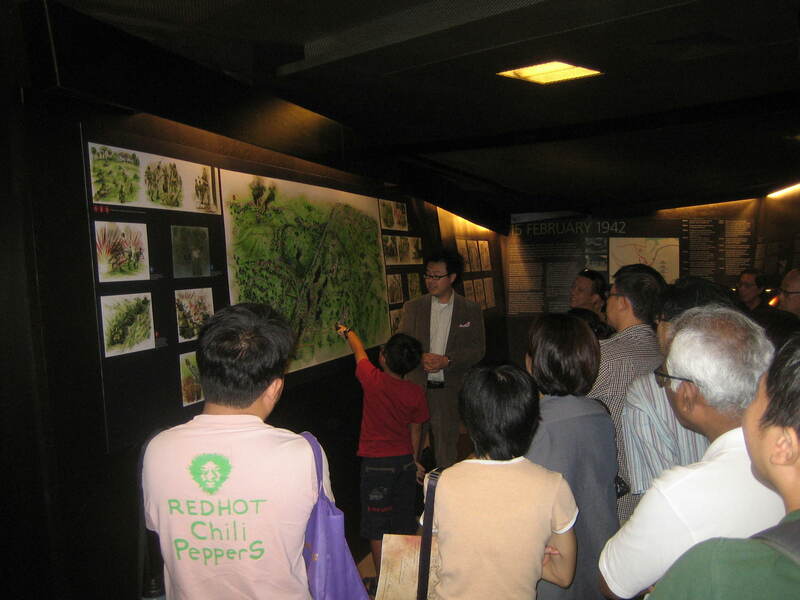 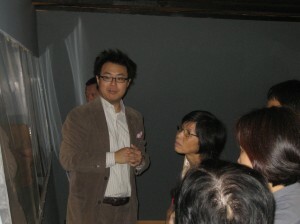 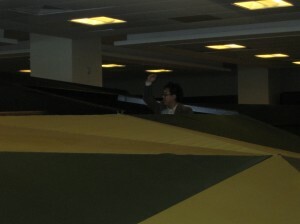 Involved in the excavation project at Adam Park, which yielded many interesting remnants of the four-day battle, Chen also provided much insight into archaeological techniques and their contribution to a better understanding of Singapore’s military past. 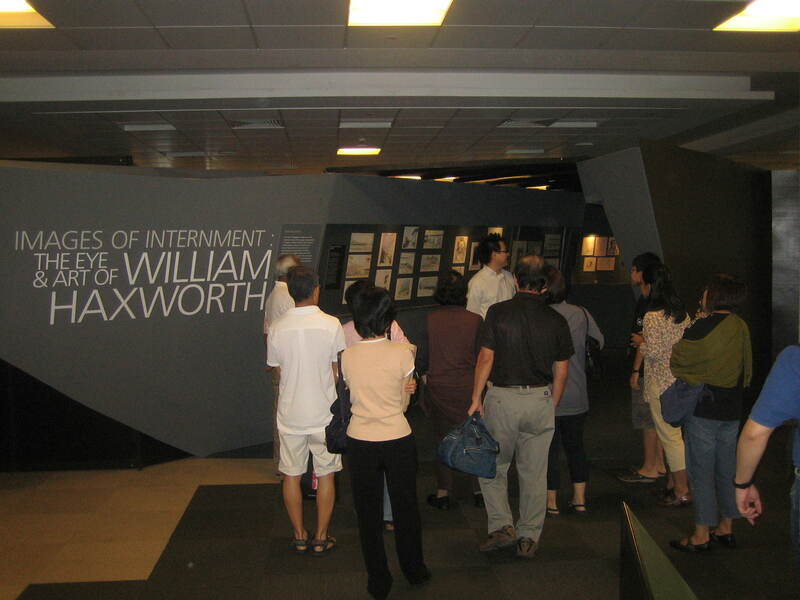 The Curator’s Tour also included the Images of Internment exhbition, where the sketches of a former internee, William Haxworth, are currently displayed. 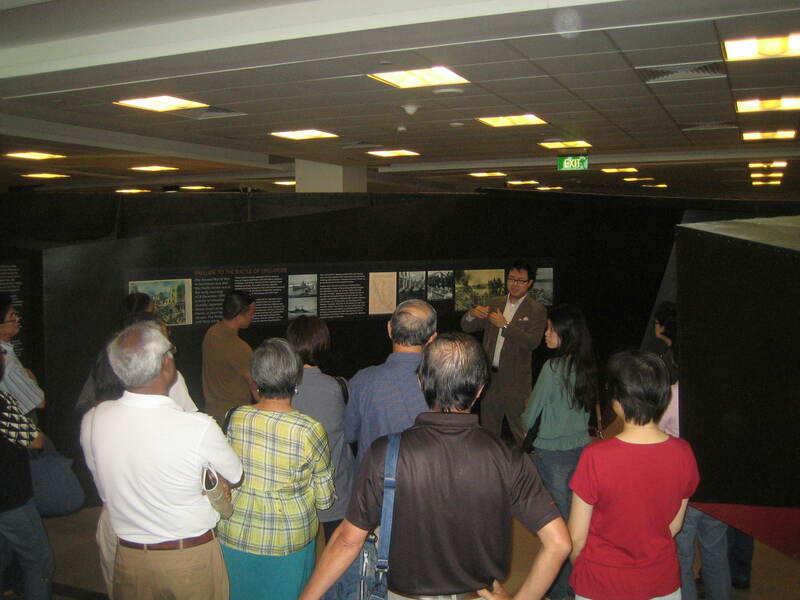 These sketches depicted life as an internee during the Japanese Occupation of Singapore, giving much insight into how a group of people attempted to deal with defeat and incarceration. 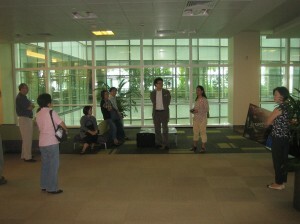 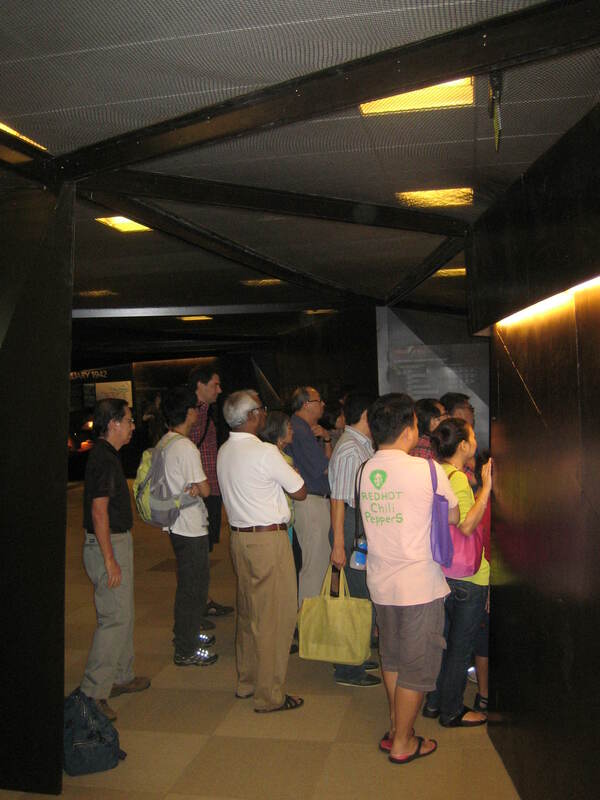 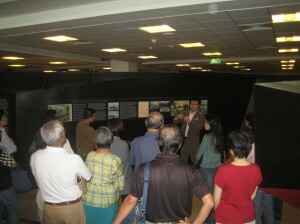 The two exhibitions are ongoing until 24 June 2012. 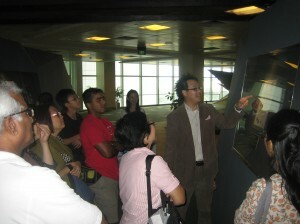 Please do go visit them at Level 10 of the National Library Building. For more pictures of the Curator’s Tour, go to our Facebook page HERE. For pictures of the opening of the two exhibitions, click HERE.